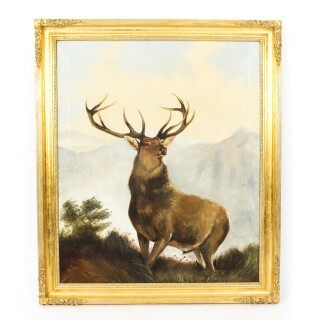 This is a beautiful large antique oil on canvas painting of a stag by Edward Henry Windred (1875-1953), signed and dated 1915, lower left. 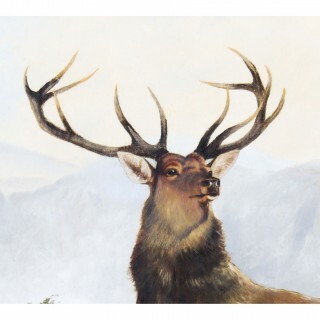 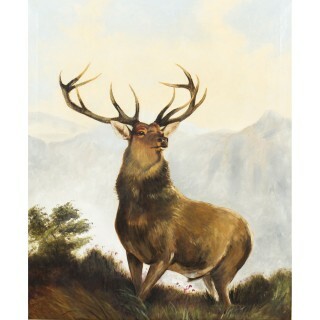 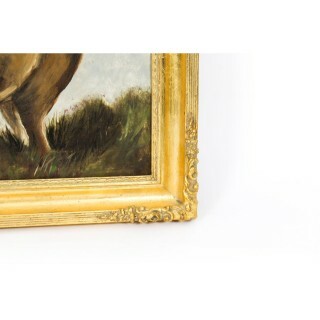 The painting features a large red deer at the top of a steep ridge in the Highlands of Scotland. 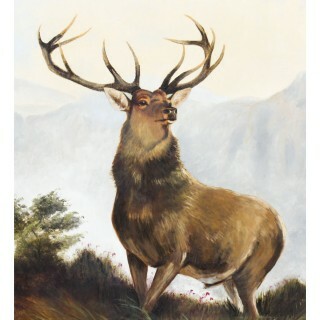 The artist has captured the dramatic beauty of the landscape with this superb painting. 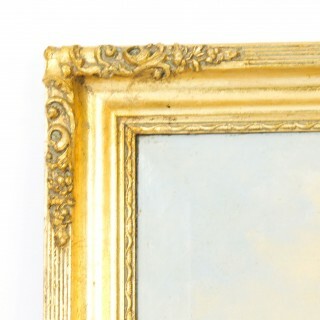 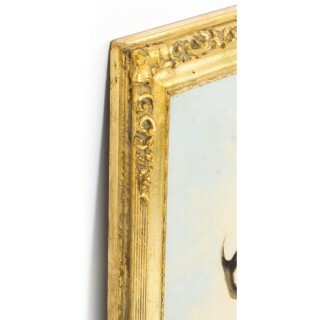 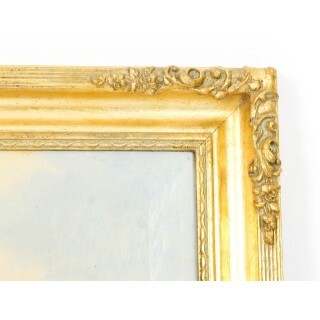 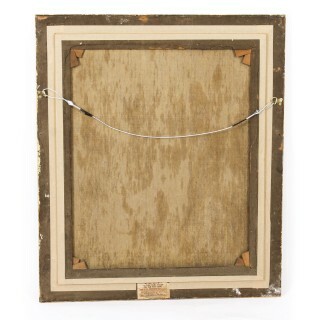 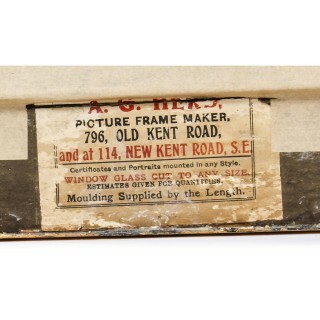 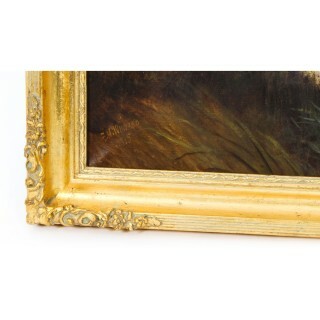 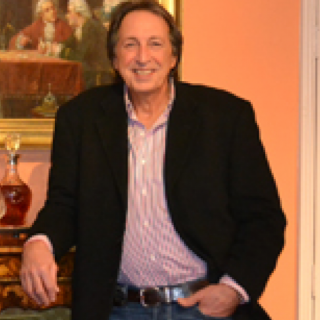 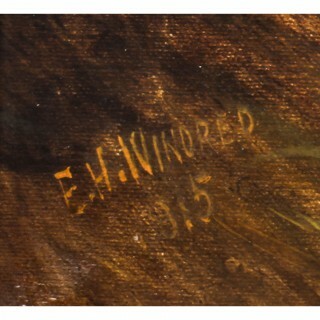 Housed in a very decorative giltwood frame.